Learn about our piano instructors below. You can register for lessons here. Most recently, Eric was chosen as a finalist in the casting process for the sixth season of the TV show “The Voice.” While he did not advance on to the show, he met many new friends while in Hollywood this past fall. Eric’s single, “Nothin’ Better” can be heard on several Illinois radio stations, as well as online through iTunes and Spotify. Eric is pursuing a Master’s degree at Belmont University where he studies under Dr. Kristian Klefstad. He is working on preparing a lecture-recital, focusing on the pedagogical aspects and solo piano works of Lowell Liebermann. Living in Nashville, Eric serves as a pianist for The School of Nashville Ballet, audition accompanist at Belmont University, music director at Glencliff United Methodist Church, private instructor through Belmont Academy, and tours with national recording artist James Wesley, with whom he plays keyboard and sings background vocals for. Eric is a versed in both Classical and Commercial music and enjoys making frequent trips up to Illinois to visit the farm and his hometown. He has been published in “Performer Magazine,” discussing “The Art of a Dance Accompanist.” To find out more about Eric, check out: www.ericburgett.com. Lael Caldwell, a graduate of the University of South Carolina, is an accomplished cellist and pianist. She served as the accompanist for the Grosse Point Conservatory for many years. She has studied cello with Mario De Fury and Julia Tanner and improvisation with John Pell. She can be seen in an Alan Jackson video with her cello, and has played at the Ryman and the Grand Ole Opry. Emma Franklin began her formal music education at the age of seven when her parents signed her up for piano lessons, and she has never looked back! Piano lessons paved the way to accompany church worship services and choirs throughout high school and college. 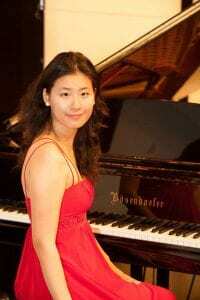 While studying at Wisconsin Lutheran College in Milwaukee, WI, Emma discovered that her love of piano playing transferred to a love of piano teaching, and in 2011, she became the first person to graduate from WLC with a minor in Piano Pedagogy to accompany her Bachelor of Science in Educational Studies. 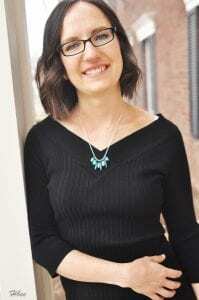 After gaining two years of teaching and accompanying experience in Denver, Colorado, Emma moved to Nashville to obtain her Master’s Degree in Piano Pedagogy at Belmont University. To complete her degree, she chose “the development of music performance anxiety,” as her thesis topic, a topic near and dear to her heart and one she hopes can help her students. She graduated in May of 2015. Emma began teaching at the Belmont Academy in August of 2016, and she greatly enjoys working with the other Academy teachers and students. Emma is actively involved in both the Nashville Area Piano Guild Teachers (NAPGT) and National Federation of Music Clubs and encourages her students to participate in their yearly auditions. When not teaching piano, Emma enjoys spending time with her new husband Andrew, whom she married on January 5th, 2018! Delores Hershey has experience in both classical ensembles and mainstream/popular musical groups, performing a repertoire that has varied from Bach to the Eagles, becoming along the way one of today’s most intriguing performers. She brings world-class vocal and instrumental abilities to bear on a passionate performing style. She began playing piano at 5 and violin at 7, and she and her family spent several years singing on weekends at area churches. Meanwhile, she was becoming an accomplished instrumentalist, playing the cello and earning superior ratings in statewide competitions on piano, tuba, and violin. She would go on to be part of the Jackson Youth Symphony, Pensacola College Orchestra, and later, the Nashville Philharmonic Orchestra. She began her college education at Pensacola Christian College in Florida, and then transferring and finishing her education at Spring Arbor College in Michigan. Graduating with a double major in piano performance and piano pedagogy, She and her husband moved to Tennessee, where she is currently the Music Director at Faith Church, a piano instructor at Belmont Academy, and is performing every week by playing the piano and singing at local, prestigious venues in Nashville. Delores has been teaching piano for 14 years. She brings to her teaching an energetic, well – rounded approach. She teaches every student the good basics of music theory, ear training, and the classical style and technique. All the while, introducing some popular mainstream music and styles, if the student prefers. She is passionate to find the true talent that each student brings to piano music and helps them to grow into their full musical potential. Mrs. Hershey is a member of the Music Teachers National Association and Nashville Area Music Teachers Association, which allows her to have her students perform in special performances and competitions each year. Delores Hershey just, simply, loves to teach and invest herself to help push her students to greatness! Coming from a musical family, Sonya is a native Floridian and was born in Deland, Fl. 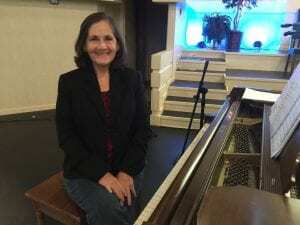 She started taking piano lessons at age five and was fortunate to receive her classical training through Eileen Stinson, the president of the Volusia County Private Teacher’s Music Association. All through her elementary/secondary education, she attended recitals and performed in county and state competitions. While in high school, she was the accompanist for a touring/singing group, The Modernaires. They received superior ratings in state and national music competitions. After raising her family, as a single mother, she moved to Nashville, TN to pursue her teaching and musical career. In May 2014, she graduated from Belmont University with a bachelor’s degree in Music Education, with honors. Currently, she is a licensed teacher with the following Endorsements: Vocal/General Music K-12. She has been teaching piano for over twenty years and presently teaches for the Belmont Academy and Worship & Arts Academy at the Brentwood Baptist Church. In addition, she plays with the praise worship team at the Church at Woodbine, a ministry campus for Brentwood Baptist. Ongoing education and professional development is very important to her. She is a member of the Middle Tennessee Orff Schulwerk Association and has her second Orff certification, which is a fun and entertaining musical approach to learning music. She enjoys going to workshops and gathering various musical resources to use in her teaching routine. Her goal is to create a positive learning environment by finding ways to connect with students on their level of development. Michael Richey is a Tennessee native who began piano lessons at the age of 9. For many years he could not pass by the family piano without playing, so his parents finally decided it was time to enroll him in lessons. Though he studied classical piano through the end of high school, it was not until his second year of college that he decided to pursue a Bachelor of Music degree. Michael always knew he wanted to teach, which led him to the study of piano pedagogy. As a life-long learner and teacher of music my duty is to facilitate the learning process of each of my students, setting him or her up for success outside of the weekly lesson. Students will receive a comprehensive music education catered to each student’s individual goals and desires. The primary purpose of lessons is to train well-rounded musicians who can be prepared for higher-level study or can have a lifelong skill for enjoyment and self-expression. Michael earned his Bachelor of Music degree in May 2018 from Belmont University where he participated in the University Singers choir and the New Music Ensemble. He is a member of the Music Teachers National Association (MTNA) and the Nashville Area Music Teachers Association (NAMTA).